Life can be tough, and when it is, you have to be a tough pe .. Following a drunken violent attack by her husband, Barbara Cunningham, grabs her two children and flees the family home. To her, this will draw a line under the most difficult part of her life, it will bring to an end, living in fear, for she always knew that one day her alcoholic husband would attack her. “Things can only get better …” the song says but for her and her children, David, 5 and Louise 2 ½ life gets harder and harder. 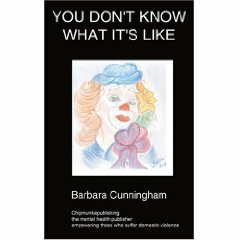 Living in abject poverty, fighting periods of dark depression, yet displaying an air of confidence and coping, Barbara finds sleep impossible. She turns to the bottle for uncritical support, until one morning, she walks her children to school in a drunken haze. Whilst crossing the road, the three narrowly escape injury when a car swerves to miss them. From that point on, Barbara fights to turn life around for herself and her children. She takes on anyone who dares stand in the way of her children having every opportunity other children take for granted. The desire to crawl out of the poverty trap and throw off the stigma of being a single mother living on benefits, takes her and the children 200 miles North where she puts herself through University. At the same time, not wanting men in and out of her children’s lives and not feeling able to commit to a relationship, she chooses a life of celibacy. This will last for 10 long years, until her children are independent. My Mum, Barbara Cunningham, is a fabulous if at times slightly eccentric mother of a beautiful, witty intelligent daughter and a ginger son. Educated at Keele University, she holds a dual honours Bachelor of Science degree in Psychology and Criminology, as well as various slightly less orthodox qualifications including Culinary Arson Studies. With a career history that borders on chameleonic, her lines of work have included journalism, insurance broking, running a pub, being the life and soul of the staff party at the Keele University Nuffield Library (a surprisingly tall order) and most recently putting the youth of our nation on the straight and narrow as part of the Essex Youth Offending Team. A keen badminton and netball player, she even had a stint playing for and managing a netball team who, while not perhaps being the most feared opponents in the land, were nonetheless the envy of the Chelmsford league for being such a thoroughly nice bunch of girls! Whilst this is her first literary publication, she has high hopes of writing a host of Pulitzer Prize winners in the future. Possible titles include ‘The Carbon Cookbook’ and ‘100 Ways to Shut Your Daughter Up: A Practical Guide to Domestic Serenity’. I might have never told her, but now she can see it in print, that I am one of her biggest fans. I admire her for her endurance, for her courage and for her strength. I admire her for the care and guidance she gave to her offspring when she would have desperately needed someone to guide and care for her, and I admire her for her selflessness and durability. But most of all I admire her for never giving up and for giving so much love to those she loved even though she was so often deprived of it herself. Mum, you are really cool and I love you … loads. I sat on her comfortable leather sofa, trying not to caress it lovingly with my finger tips and asked her politely to please turn off her television. I say ‘television’ but this thing was HUGE – COLOSSAL – MASSIVE – and any other descriptive word you could think of, my complete family could have moved into it and not bumped into each other for days on end ……… ok, I’m exaggerating but it was quite the largest television I had ever seen in my life! I walked away from the house with the sound of the mother’s voice screaming at her unruly children, ringing in my ears. How many more times was I going to be told ‘you don’t know what it’s like?’ How many more times would I be forced to bite my tongue for the sake of the policies and protocols demanded by my bosses at the Youth Offending Service? ‘I do know what it’s like’ I wanted to shout. The difference? I wasn’t tame, I wasn’t complacent, I was a feisty, gobby, mother cat who fought for her rights and the rights of her children. I did everything I could to crawl out of the poverty trap. I’d been to hell and back, looked poverty and prejudice in the face and stuck my fingers up at both of them. 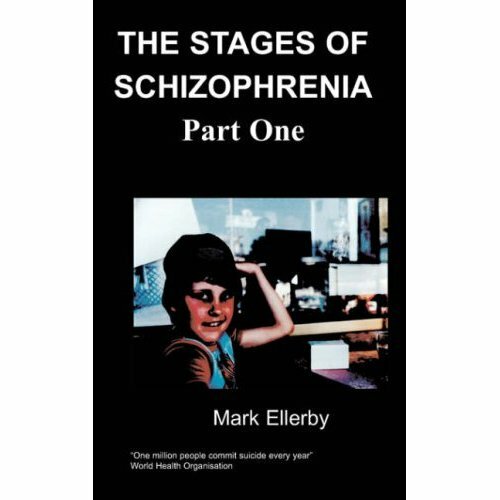 Want to know how I did it … well read my story! For four hours he had been beating me, throwing me around the kitchen as if I weighed nothing! Dragging me upstairs to the bedroom, shouting, slapping, punching and throwing! I was too exhausted to feel pain anymore, too afraid for my children to worry about my own safety. When would it stop … please God make him stop!! “I can’t even shout at you anymore” roared Bob, my furious, drunken, husband but the roar trailed off into a pathetic shriek as he clutched his strained throat. There was a tiny tap-tap-tap at the bedroom door, Bob threw it open, and there, white faced, huge scared eyes, stood our tiny, 5 year old son, in his shaking hands he clutched, two, heavy pint glasses brimming over with milk. He looked from his father’s furious face to mine, looked with unconcealed horror at my cut lip, swollen bleeding nose, black eyes, rapidly swelling cheeks … “daddy, you’re not hurting mummy are you” he asked in a tiny incredulous, terrified voice. With that, Bobs temper seemed to dissipate, his eyes lost that manic look. Staggering, he took the milk from our sons weakening grip and in a gentle voice he said ‘of course not boy, now go look after your sister’, as he slowly closed the door on his horrified and disbelieving face. I shrank back as he turned to me and reached out his hand, I stumbled and fell onto the bed. Did he think that was an invitation? He threw himself next to me tearing at my already ripped nightdress, “that’s what I want, make love to me, show me you love me” he gasped as I struggled not to turn my head a way from his rancid hot breath. ‘I can do this, I must do this’ and I did, for what seemed an eternity, I crawled out of my body and watched from a distance, as my other self made love to this man and as he climaxed and drew me to him with a look of love on his face, I said to him, in a silent voice, ‘you lose’, ‘you lose me, your children, your home and your business,’ and just for the most fleeting of moments, I felt a terrible sorrow for the man I had once loved.